First published nearly thirty years ago, the novel Good Omens has sold more than five million copies worldwide and is beloved by Gaiman and Pratchett fans alike. 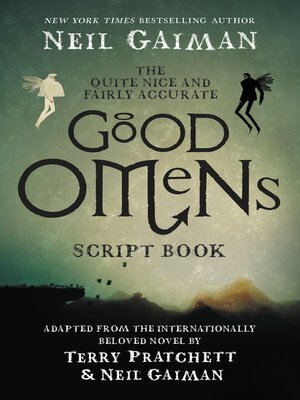 Collected here are Neil Gaiman's original scripts for the Good Omens television series, offering readers deeper insight into Gaiman's brilliant new adaptation of a masterwork. A tale of good and evil and the end of the world, Good Omens stars Michael Sheen as the angel Aziraphale; David Tennant as the demon Crowley; and Jon Hamm as the archangel Gabriel, as well as Anna Maxwell Martin, Josie Lawrence, Adria Arjona, Michael McKean, Jack Whitehall, Miranda Richardson, and Nick Offerman.